Welcome! It is good to find you visiting the home of InsideUrbanGreen.org, successor to InsidePlantsLive.org and Greenscaper.net started in 2004. Bear with us. We are in the process of updating our content and mission to keep up with a fast changing world. There will be even more coverage of science-based greenscaping technology from around the world in the coming year. A site redesign is in the works. This blog will continue and later this year become a part of a new website for the Center for Urban Greenscaping (CuGreen). Stay tuned. We will report on a wide variety of user-friendly plant growing methods based on science and technology. They are far more productive and environmentally beneficial than growing in often-contaminated city soils and arcane clay pots. Local food production, personal and family food security are top priorities in the coming year. Everyone living in land-scarce cities should have access to knowledge about modern food growing methods that do not require access to tillable soil. There should be no need to self-identify as a gardener, farmer or have a mythical green thumb. Whether or not one chooses to grow some food, everyone should have the knowledge of how to do it using modern methods. This in our view is the cornerstone of true food security. The knowledge of how to grow food should be as generic as knowing how to cook it. We believe that food growing is personal and need not be communal. We also believe in the ancient Chinese proverb credited to Lao Tzu - "Give a man a fish, feed him for a day. Teach a man to fish, feed him for a lifetime." Your comments and constructive suggestions are always welcome. Food For Thought For Thoughtful "Locavores"
This is an interesting Op-Ed piece from the NY Times. I've had much personal experience with NY "locavores" who have little or no knowledge of how to actually grow food using modern methods. All some of them seem to know about is dirt, drain holes and mileage. That's rather thin gruel to sustain a healthy diet. 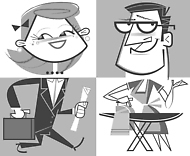 The "New Normal": No Job? There are new jobs to be had in the field of local food and urban agriculture but they require thinking out of the box. They require creativity and ability to explore and embrace technology and science. Shoveling dirt is a dead end job. Why are we encouraging young people to do it? We have groups of misguided dirt huggers in New York and other cities across the country who are leading kids down a garden path. Unfortunately, we also have some ill-informed politicians who are willing to give them money to do it. 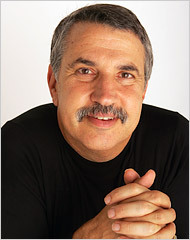 He is not the only one, but Tom Friedman definitely speaks for me. There are new jobs and small businesses in the field of urban greenscaping that our horticultural institutions are too reactionary to embrace. Most of them are living in a prior century with their heads in the dirt. Since when is technology a dirty word in this country? There are more important and productive things to do than demonizing Monsanto and trying to get everyone to dig so-called "victory gardens" in the city. I am no particular friend of corporations like Monsanto, but neither am I a fan of dirt huggers who do not get it that we are now an urban society. There are things I can do to help create jobs but need to reach the people in government and business who have the resources to help make them happen. They are far from a solution but would definitely contribute to reducing obesity while improving our science education in the process. My background and experience over a long lifetime covers both technology and horticulture. My blogging beat now covers the field of urban horticulture or what I call urban greenscaping. It reveals very few "untouchables" as defined by Tom Friedman in his op-ed column. Most of the institutions involved in urban greenscaping and the media covering it are living in a prior century, a "drain hole century" if you will. The good news is that there are terrific career opportunities for creative minds willing to explore new ways of bringing the natural world of plants into the built environment. The door is wide open for "new untouchables" to walk through. But those who have the ability to imagine new services, new opportunities and new ways to recruit work were being retained. They are the new untouchables. Bottom line: We’re not going back to the good old days without fixing our schools as well as our banks. Where is the invention in American consumer horticulture? Where is the invention in American consumer horticulture? Other than a plethora of poorly thought out green wash gadgets, it isn't very visible. Tom Friedman wrote an op-ed column in the New York Times titled Invent, Invent, Invent. The piece spoke to me and I hope it speaks to you as well. Not to worry, it’s only a matter of our future economic welfare, food supply and careers. Consumer horticulture hasn’t gotten to the first invent, no less the second and third. What of significance is there beyond the AeroGarden and the EarthBox invented by Blake Whisenant? We can thank Blake for the EarthBox (prior posts) but where is American ingenuity hiding relative to the field of horticulture? Is everything horticultural cast in stone or in a bronze plaque from the past? From what I read on a daily basis, it seems that way. I was at a conference in St. Petersburg, Russia, a few weeks ago and interviewed Craig Barrett, the former chairman of Intel, about how America should get out of its current economic crisis. His first proposal was this: Any American kid who wants to get a driver’s license has to finish high school. No diploma — no license. Hey, why would we want to put a kid who can barely add, read or write behind the wheel of a car? Now what does that have to do with pulling us out of the Great Recession? A lot. Historically, recessions have been a time when new companies, like Microsoft, get born, and good companies separate themselves from their competition. It makes sense. When times are tight, people look for new, less expensive ways to do old things. Necessity breeds invention. Therefore, the country that uses this crisis to make its population smarter and more innovative — and endows its people with more tools and basic research to invent new goods and services — is the one that will not just survive but thrive down the road. It’s been a while since the last post and perhaps some of you are wondering if I’m still on the planet. I am. I just needed to take a time out. Anyone who has blogged on a daily basis knows about blogger burnout. It is a reality, particularly if you’re a solo blogger as I am. During my blogging hiatus I’ve continued to research the subject of urban gardening, urban agriculture, what I call urban greenscaping. While our institutions are still stuck in a prior century, there is a growing buzz on the Internet. It’s in the blogosphere, on Facebook, in forums and people are twittering about it. I sometimes wonder if our horticultural institutions have web connections and if they do, do they use them? You really have to be living under a rock to not know that sub-irrigated (aka self-watering) boxes, beds and buckets are a vastly superior way to grow food in the city. I have a ton of information to support this claim and will be blogging about it. Stay tuned!